Dedoose is used at over 120+ countries, 20,000+ sites, by 50,0000+ people in a variety of ways. One of Dedoose's core strengths is its flexibility to adapt to your research style. Here are just a few examples of our users enhancing their research with Dedoose. Discovery, problem-solving, critical thinking and creativity are features shared by great research and inspiring learning environments. At UTS, we integrate our approach to research and learning, so not only are our students engaged with the research our academics are undertaking, but also with inquiry-based approaches to research. As a result, our students graduate with knowledge of cutting edge practice informed by the future needs of our industry and community partners. This ensures we are developing the next generation of professionals and researchers who can lead our global society. UTS has a strong translational and social justice focus in health. Our research is highly engaged with the health sector, industry, practitioners and the worldwide research community. UTS has a strong translational and social justice focus in health. Our research is highly engaged with the health sector, industry, practitioners and the worldwide research community. Social Futures research at UTS is reflective of the increasingly complex nature of civil societies and the changes taking place in communities in Australia and around the world. Future Work and Industry--Understanding technological and societal changes in work and industry globally will be critical to the future quality of life and economic future of Australia, as we create new industries and adapt existing ones to changing environments. Pfizer has taken an early leadership position in creating a discipline around Clinical Innovation, ensuring we are taking advantage of cutting-edge tools, approaches and partnerships to ensure our high-quality clinical trials are conducted with speed and agility. Pfizer’s Clinical Innovation vision centers on making research participation easy for patients and healthcare providers. In one such project, Dedoose was put to use in a two-phase project focused on developing strategies for the incorporation of real-time research evidence in the clinic. Finding identified key areas of physician concern and technological innovation that informed strategies for increased efficiency, accuracy, and quality of care. The RAND Corporation is a nonprofit institution that helps improve policy and decision making through research and analysis. For more than six decades, RAND has used rigorous, fact-based research and analysis to help individuals, families, and communities throughout the world be safer and more secure, healthier and more prosperous. Our research spans the issues that matter most, such as energy, education, health, justice, the environment, and international and military affairs. As a nonpartisan organization, RAND is widely respected for operating independently of political and commercial pressures. Quality and objectivity are our two core values. RAND's research is commissioned by a global clientele that includes government agencies, foundations, and private-sector firms. Philanthropic contributions, combined with earnings from RAND's endowment and operations, make possible the RAND-Initiated Research program, which supports innovative research on issues that are crucial to the policy debate but that reach beyond the boundaries of traditional client funding. A key element of UCSF’s research success is its deeply ingrained culture of collaboration. Scientists regularly reach across disciplines and beyond the borders of UCSF to advance knowledge in basic science and formulate new strategies for treating disease — insights that would be elusive in laboratories focused only on a single research approach. This collaborative spirit and its echo effect yield life-changing results: Our faculty members are uncovering ways to prevent and treat a wide array of diseases, including cardiovascular disease, neurological disorders, cancer, diabetes, genetic disorders, and immunological and infectious diseases. The caliber of UCSF’s research is world renowned. Our faculty have won nearly every leading prize in the health sciences, from Nobel Prizes to National Medals of Science. For nearly a decade, UCSF has earned its place as the top-funded public academic institution by the National Institutes of Health. Widely recognized as one of the world’s leading research universities, the University of Michigan provides exceptionally fertile ground for innovative research that underlies progress in all aspects of our society. The hallmarks of our research community include: Excellence across a wide range of disciplines, Interdisciplinary cooperation, Translation to practice, Partnerships, and Top Student Talent. Carolina is making a strong bid to become the leading public research university in the nation. In the Carnegie Foundation’s classification of colleges and universities, Carolina qualifies at the highest level, as a research-extensive university. Institutions in this category award at least 50 or more doctoral degrees per year across at least 15 disciplines. Carolina awards more than 400 Ph.D.s each year. UNC-Chapel Hill research funding for fiscal year 2015 totaled $796,171,469. Based on the most recent available data, Carolina ranks sixth among leading private and public research universities for the level of federal funding devoted to research and development in all fields (NSF, 2014). Our mission is to advance the career, college, and workplace readiness of youth and adults across education, workplace, family, and community settings in Wisconsin and around the world. The Center for Education and Work (CEW) seeks to realize these goals through research, professional development, and the provision of career and academic development tools. CEW is a research, technical assistance, and resource provider within the School of Education at the University of Wisconsin-Madison. For over 50 years the center has been assisting educators and career development practitioners with program evaluation, qualitative and quantitative research, professional development training, and career resources. The Collaborative Center for Health Equity (CCHE), supported by the UW Institute for Clinical and Translational Research (ICTR) and located within the UW School of Medicine and Public Health, connects partners from the state’s rural, urban, and tribal communities with university faculty, staff, and students to advance long-term, mutually beneficial partnerships in teaching, research, and service initiatives to improve health equity in underserved communities of Wisconsin. The quality of the research enterprise is what truly distinguishes a great university, permitting it to draw in the most talented scholars and the top students. 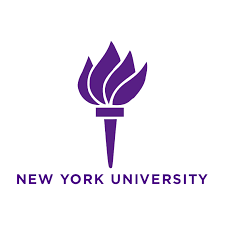 NYU’s faculty are at the forefront of their scholarly disciplines, and their research helps shape the understanding of an enormous range of academic fields: from the mathematical sciences to economics, from philosophy to neural science, from art history to sociology. In recognition of the quality of this research, NYU received approximately $200 million in government funds in 2008. Founded in 1851, Northwestern is one of the nation's leading private research universities, with an annual budget of $2 billion and annual sponsored research awards in excess of $620 million. Located on three campuses — Chicago, Evanston, and Doha, Qatar — Northwestern enrolls more than 20,000 students, and employs over 3,300 full-time faculty and 5,700 full- and part-time staff. Northwestern has a long history of interdisciplinary research leadership, harnessing diverse expertise to solve society's most challenging problems. More than 100 school-based centers and 49 University research centers create knowledge across all fields, including international and domestic policy, neuroscience, nanotechnology, biotechnology, materials science, and drug discovery. Notable recent investments in the University include alumna Roberta Buffett Elliott's endowed gift to the Buffett Institute for Global Studies and a major gift from Louis A. Simpson and Kimberly K. Querrey to create a transformative biomedical research center. This new center will spur further collaboration among University researchers, including scientists from the Stanley Manne Children's Research Institute. In this ecosystem, the Office for Research (OR) plays a strategic role in developing the best research programs and facilities; attracting exceptional faculty; and administering more than a half-billion in annual funding from federal agencies, foundations, and corporations. AT STANFORD MEDICINE, we are drawn to the difficult problems, the ones for which prevailing science does not yet have a framework to understand. Our strength is in developing new paradigms to tackle these problems and opening new avenues to transform human health. Researchers and clinician-scientists at Stanford Medicine work across disciplines to expand the frontiers of scientific understanding while moving the most promising breakthroughs into tangible health benefits through clinical trials. With access to the resources of Stanford University -- including the Schools of Engineering, Law, Business, Humanities & Sciences and Education -- Stanford Medicine enables close interactions between physicians and scientists, faculty and trainees, and basic science and clinical care. The mission of Fenway Health is to enhance the wellbeing of the lesbian, gay, bisexual and transgender community and all people in our neighborhoods and beyond through access to the highest quality health care, education, research and advocacy. Motivated by the belief that healthcare is a right, not a privilege, politically active Northeastern University students open a one-day-a-week drop-in center in the basement of a building owned by the Christian Science Church. The center is staffed by volunteer medical students dedicated to serving the diverse Fenway neighborhood—a neighborhood that includes many seniors, gays, low-income residents, and students. Reflecting this mission, the founders named the center Fenway Community Health Center.